In a modern world, proper Estate Planning is essential. There can be tax and other implications in making a will or in not doing so. In order to ensure that your wishes are carried out after your death it is essential that you would make a will. This involves proper planning and understanding of Irish succession law. 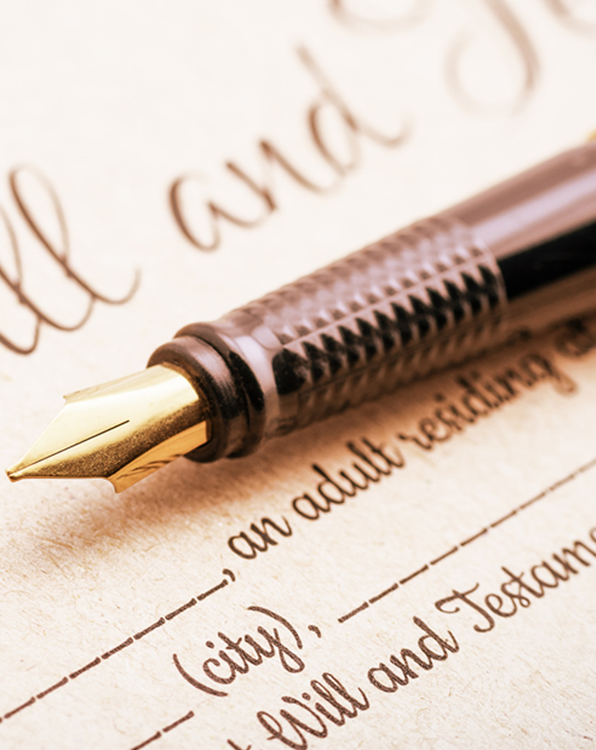 There can be many unexpected difficulties in estate planning and drafting a will. There are also many legal formalities which must be observed for a will to be valid. We will make the necessary tax returns on behalf of the estate, obtain the necessary grant of Probate or Administration and distribute and vest the assets according to the wishes of the deceased. If you feel you have being denied an inheritance you rightfully deserve or that the assets of an estate are being mismanaged or misappropriated, the law may come to your assistance. Under The Succession Act the rights of many beneficiaries are protected. This is particularly true of surviving spouses and children. Our highly experienced legal team can help ensure that your rights are protected during the administration of an estate. All costs and expenses associated with an estate are clearly outlined at the outset. Making of a will brings certainty to the intentions of the person making the will (testator) and provides for an orderly distribution of a deceased estate. In the absence of a will the persons’ property is disposed of under the provisions of the succession act and as such it is not tailored to the needs and wishes of the individual. Proper will planning can also be valuable in relation to the exposure of the beneficiaries to inheritance tax. The length of time involved in extracting a probate depends on the complexity of the estate. A person may have property overseas or a complicated financial position which has to be unravelled for the purposes of distributing the deceased property. When the estate has been clarified and the assets identified best practice would anticipate that probate should be extracted within one year.